Home » Bankruptcy » Debt » Debt consolidation » Financial Tips » Can You Afford To Go Bankrupt? 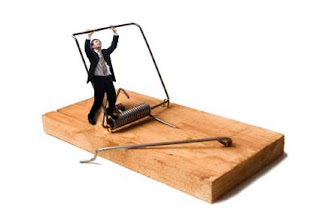 If you are overwhelmed with debt and seem to have no way to get out from under it, you may be considering bankruptcy. While bankruptcy can help you wipe out most of your debt and give you a clean start, it doesn't come without costs. One question you need to ask yourself is, can you afford to go bankrupt? When you declare bankruptcy it immediately halts all collection actions against you. Creditors can no longer contact you about your debts and must work through the court system instead to get paid. In the U.S., there are two main categories of bankruptcy for individuals: Chapter 7 and Chapter 11. Chapter 7 bankruptcy involves a liquidation of most assets to pay creditors, while a Chapter 11 allows you to reorganize your finances and work out a strategy to pay off creditors. Chapter 11 is similar to an individual voluntary arrangement, or IVA, in the United Kingdom. Although the immediate costs of bankruptcy may not be apparent, the long-term costs are certainly something anyone contemplating bankruptcy should consider. Filing a bankruptcy petition does cost money and hiring an attorney to do so will cost even more. However, most courts allow you to pay your legal costs out of your existing assets. The long-term costs of bankruptcy, in other words the ones that don't cause a financial effect right away, are the ones of which you need to be aware. For example, a bankruptcy will lower your credit score considerably, especially if your score was good to begin with. The bankruptcy also stays on your credit report for up to 10 years. This can make it difficult to get credit cards and loans and require you to pay high fees and endure high interest rates if you do get a loan. If you own a business, the bankruptcy may make it difficult to get credit you need to operate and it may also result in lost sales, as customers lose faith in your ability to continue operating. Then there is the cost of the debts that bankruptcy doesn't take care of, including student loan debts and money owed to the Internal Revenue Service. If you decide you can't afford the costs of bankruptcy, an alternative might be a debt consolidation plan. The UK has a process called IVA that sets up a formal repayment plan, usually with unsecured creditors, through what's called an insolvency practitioner. An IVA is a bit more formal than debt relief plans in the U.S. and you can have an IVA and still file for bankruptcy. In the U.S., someone with debt problems can get a debt consolidation loan. This differs from the IVA and usually involves using an intermediary to work out the details. The best way to do this is through a non-profit credit counseling firm, which won't charge you anything. There are also companies that specialize in debt relief, but even the legitimate companies essentially charge something you can do yourself for free. The financial implications of bankruptcy can certainly be a deterrent. Unfortunately many filers aren't aware of the future financial losses they may incur. Not only that but the expense of filing for bankruptcy is substantial. How is a person who can't afford to pay his debts supposed to file for bankruptcy? It's a Catch 22. Bankruptcy can have some very negative effects. It's important to weigh the pros and cons before making a decision. 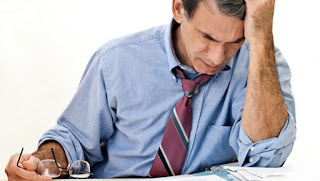 Before making a decision about bankruptcy consult with a bankruptcy lawyer. There may be a better solution for your problems.